The FUJINON XF80mmF2.8 R LM OIS WR Lens is a mid-telephoto weather-resistant macro lens that delivers the very best results from Fujifilm's unique X-TRANS CMOS sensor. With an optical construction of 16 elements in 12 groups, including one aspherical lens, one Super ED lens, and three ED lenses, along with a Floating Focus System, this lens is capable of achieving high-quality macro shooting. 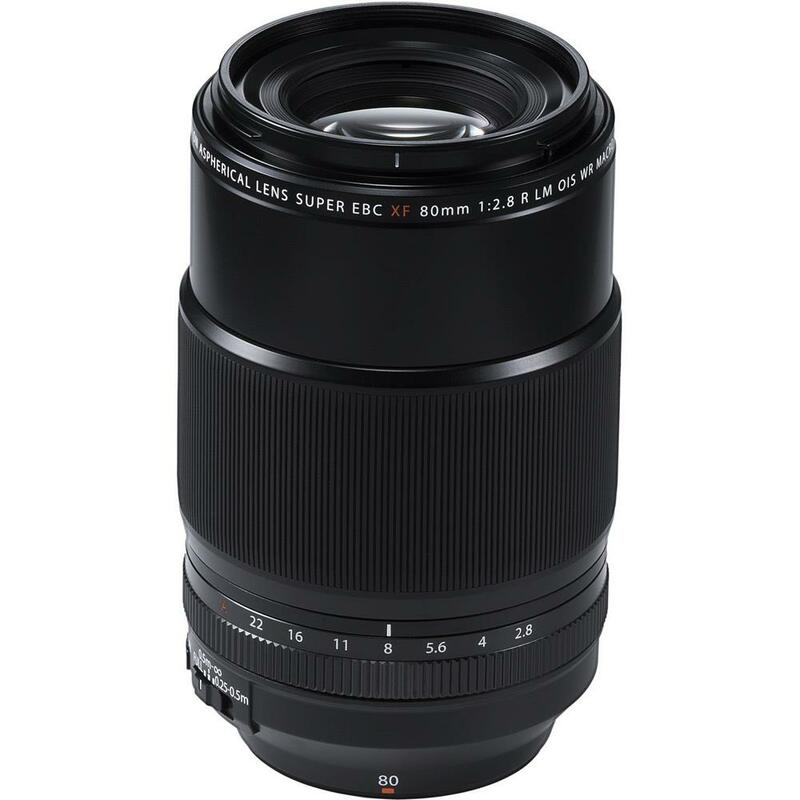 This lens also features a 1.0x magnification factor and by achieving high resolving power at the focus point and beautiful bokeh, this lens is optimal for shooting flowers and nature photos. This lens also supports hand-held shooting thanks to 5-stop Optical Image Stabilizer system suppressing shift shake* and provides a fast and silent Auto Focus system by adopting linear motors.